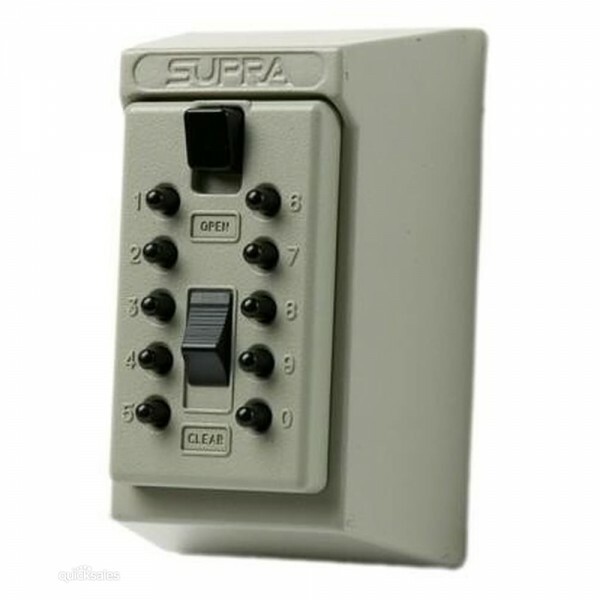 The Supra GE KeySafe, key box, provides convenient, managed access to stored keys (max. 5). The StrongBox design has a solid track record for unmatched quality and security in residential and small business applications. The code can be changed anytime for added security. The Permanent GE KeySafe stores 4-5 yale keys or 1-2 chubb keys (upto 3" long) and is supplied with a black neoprene cover to protect the GE KeySafe from the elements and hide it away from view.